The end of another year is a great chance to review all of our lessons learned…what worked, and what didn’t. As a coach and athlete, I pretty much test all manner of new training protocols on myself before recommenting them to our Endurance Nation athletes. The process of self-improvement is a large part of what makes triathlon the life-style sport that I have grown to love. So, without further ado, here are my lessons learned from 2015! Every year I have the chance to train at multiple camps across the US — this means I never get a “Boys Weekend” trip, but it’s a worthwhile exchange for me as I enjoy both a mental break from my regularly scheduled training as well as a solid fitness boost. Early season bike volume for me, which is the January Volume Camp in Clermont, FL, is equal parts mental and physical. My body and mind need a break from all that indoor work. I am not ready to put down any seriously hard work, but I can certainly get out side in shorts and a bike jersey to enjoy a four- to five-hour ride. Moving closer to the season, I was able to use a few long indoor sessions plus the Blue Ridge Cycling Camp to push my bike fitness into a solid place for my second place finish at the National Championship at Ironman Texas. 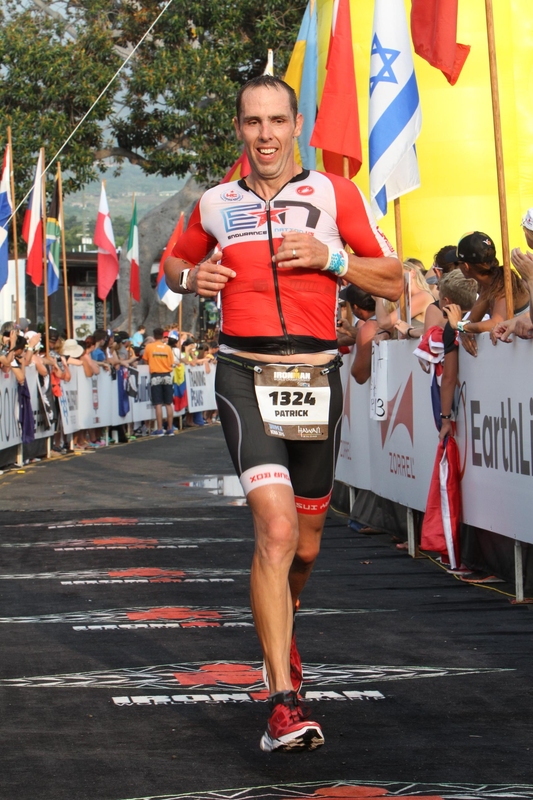 In season I was able to use both the Lake Placid Camp, and the weekend when I was coaching there, to add some longer back-to-back bikes, and then I finished off the year with a few bigger weeks of cycling (300+ miles) headed into Ironman Hawaii. Simply put, bike volume is the safest, no-nonsense way to add training stress to your schedule in a way that raises your fitness across the board. I have never had a really good swim…or at least I used to swim better back in the day. Those were wetsuit swims in races with ~2000 folks (think Ironman Lake Placid 2002, etc, when I swam a 1:01). As the races have grown to 3,000 folks…and warmer venues mean less wetsuits, my swim times have degraded closer to the 1:10 range. That plus breaking a collarbone (surgery) and my forearm (no surgery) means I am in a busy T1 zip code. Grrrrr. This is something I mean to fix every year, but I simply don’t have the schedule to join a Masters Group for frequent sessions and accountability (I swim faster with a group, always). So in 2015 I resolved to set weekly volume goals for the last 12 weeks as I trained up to IM Hawaii, which was really helpful. I also purchased a pair of Lava Pants, which act like the world’s best pull buoy, which gave me a “legs free” swim option for the days I also had to run hard or bike hard. In addition to more swimming (especially when the bike/run volume drops during the taper), I can’t say enough about swimming before a ride. One of my biggest challenges on race day has been biking at my goal effort after swimming 2.4 miles. I am just aerobically “out of it” for lack of a better term, and I end up settling for a lower bike effort as it feels hard…and it’s also hard for me to eat / drink as required. In addition, I need more calories and fluids after swimming. So not only am I in a deficit, but I’m in a compromised position where I’m going to have difficulty making up that deficit. For my final build into Hawaii this season, I focused specifically on writing a tempo effort after a longer swim. I am fortunate to have open water swimming in my town, and was able to do at least five rides in this manner. As expected, first ride was really, really tough. I felt constantly out of breath even though it was clear from my heart rate data that I was not working any harder than normal. By the time I got to the end of the sessions, I had no problem reconciling the right power output with the right nutritional input as well. I have written about the value of a split long run many times. I think most age group triathletes overestimate the importance of a single long run on the schedule. The goal across any season is to build both endurance and durability. These are also two critical success factors for race day. I have never met a finisher who credits their longest long run as their biggest success factor. Splitting the long run essentially allows you to get all the benefits of running long with the reduced cost of that same work. This year I began splitting my long run by simply dividing it between the morning in the evening as 60 minutes in the morning, 60 minutes in the afternoon. Over time, this involved into 10 miles in the morning and 10 miles in the afternoon. As I moved into the final weeks of my race preparation, I began splitting the long run putting one 90 minute session on Wednesday, and the other 90 minutes session at the end of the week. This setup was made possible by my early split run efforts. It also allowed me to get in two quality long-ish runs without totally messing up the rest of my training week. Along the same lines, I made the decision in the second half of my season to My long run at two hours. While I’m a fairly fast runner, usually covering about 16 1/2 miles in two hours, I found that most athletes regardless of speed will benefit by keeping this long run volume down. It gives you room to run more frequently throughout the week, and as I noted above it reduces the impact of that single long session on the rest of your training. I made this decision because I was worried about the fatigue I was carrying from my race earlier this year at Ironman Texas. But I quickly realized during my training what a capped long run gave me in terms of remaining training bandwidth. Regardless of your total run speed, I think a two hour long run single session is a smart move for any age group or training for an Ironman. One of the more microlevel changes I made this year which I believe had a bigger impact was eliminating any coasting in my races (outside of aid stations and peeing, of course!). While I am racing flatter courses that I used to in previous years, the rationale still holds true: time spent coasting is time not spent retaining momentum. I define momentum as the retention of speed gained at the bottom of the hill across the flats into the next hill…or simply into the flats. This is a period in time when “soft pedaling” becomes a critical success factor. Most of your competition is simply coasting, and recovering. 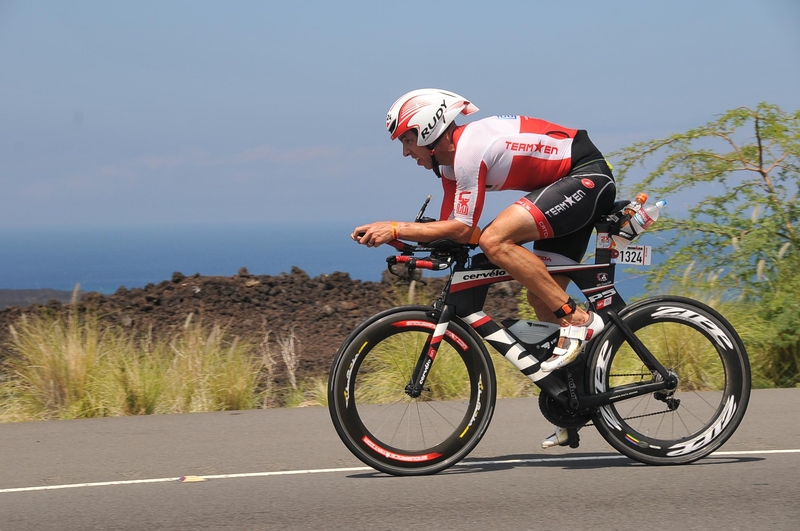 You as a smart triathlete will be able to ride at 50% or even 60% of your current threshold power and still be able to roll along at 24 or 25+mph. Along with this mental change–which I practiced in training–I also invested in a rear cassette with an 11 speed cog – so now I run an 11/25 for flat courses, and an 11/28 for hilly courses. This one small addition has allowed me (as an admittedly stronger cyclist) to continue to keep tension on the pedals on the down ills and into the next section of the course, improving my overall speed with minimal additional effort. This is a decision I made based on my general life schedule, and my desire to maintain a solid level of spousal approval units. 🙂 For me, like most of you, the weekend is the most valuable time with my family. To make sure that I had time for both family activities and for my wife to get her work out soon, I made the decision to keep Sunday as an off day / optional swim day. By optional swim I mean if I was able to get out of bed in time for the 6 AM swim window, I would swim an easy 3,000 or 4,000 yards. If I overslept, because I was tired, I simply skipped the session and took the day off. This meant I was home by 7:30 at the latest, and my wife was still able to get her Sunday workout in before we had all day to hang out as a family. Selfishly, I quickly realized that this day off was allowing me to continue a general high-level of training across each week. I am definitely planning on keeping this protocol moving forward. To help eliminate this problem, I set a monthly reminder to write a recap of my training over the last four weeks. This exercise, and reporting back to the general public, was simple and yet very effective. Knowing that I had to tell everyone what I actually did versus what I had planned to do kept me very honest. I also benefited from using a different training plan format, where I planned out the total number of sessions each week as well as eight hard to get training number: sometimes it was yards, sometimes it was time, sometimes it was miles. Going back every week to that sheet once again help keep me accountable to my goals. My hope is that by sharing this with you you can see that progress is not limited by physical gifts, or by flexibility of your schedule, or available capital for triathlon. There are plenty of places where reviewing your effectiveness as an athlete can lead you to find different strategies that will create opportunities for growth and improvement without setting your life out of balance. I hope this is prove useful to you, and I look forward to your feedback in the comments!